It is hard to develop relationships with employees or potential hires and then assess them on their competencies because we already make subjective judgments about their ability. At Sandler we are looking to save our clients time and money. A bad hire is expensive and depending on your management, it may stick around for a long time. Likewise, a subpar employee may enjoy longevity because we feel responsible for allowing their bad habits to continue--and because we have allowed them, we continue to allow them. What would change if you spent 5 minutes interviewing a hire to determine if you wanted them to pass to the next step of the interviewing process and that step was an assessment which returned results with a required threshold to engage in the next interview? What would change if you could see an illustration of their weaknesses and then probe questions related to that in your next interview? And what about existing employees? Would you feel more confident knowing that a third party organization was developing Individualized Learning Plans for your team and following up regularly to ensure that they were working on their weaknesses? Would you feel more confident knowing what they were working on and seeing the results of their progress? Or are you comfortable with the status quo of hope that they are developing and learning by proxy, resting on the hope that they will grow in the organization and not look to grow out of the organization? When it comes to employees the reality at the end of the day is that we need to change our employees or change our employees. If we don't have a good foundation for development then we will spend more on fishing for the right employee than developing the right employee. The life-cycle of an employee, from Selection to On-boarding, Development, Succession, and Separation should be a process and a system. If you don't have a system for this cycle then reach out to us via phone or e-mail and we'll have a conversation about what it would look like to take your organization to the next level with regard to employees and what you're leaving on the table by putting up with your current system. Interested in receiving our weekly newsletter? 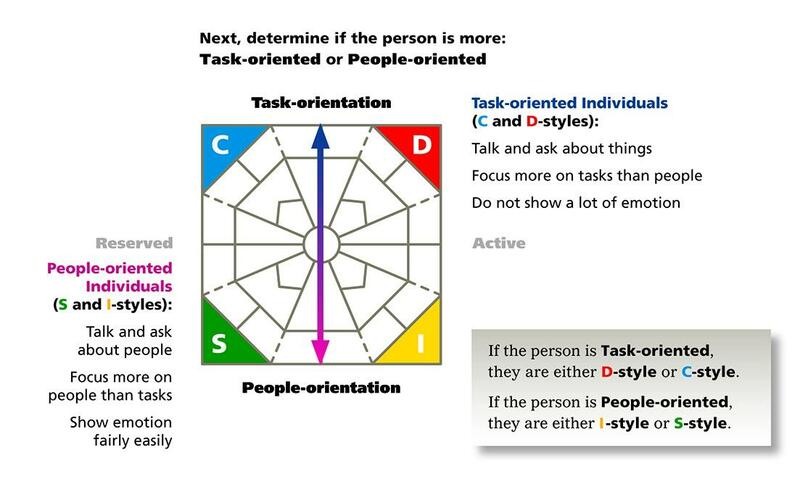 Behavioral Assessments allow you to build team communications and effectiveness! Extended DISC is a tool to help executives make better decisions about their employees, teams and organizations. Learn more about yourself and the people in your business world. 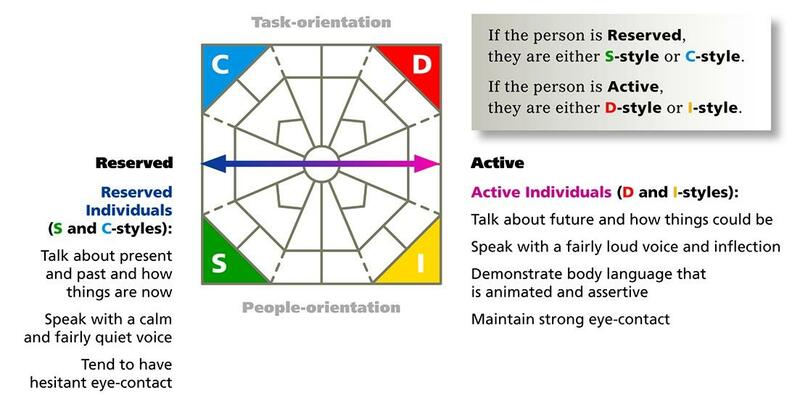 We use DISC to get a clear view of individual and team comfort zones when it comes to communication. We do this by finding out their location on the Extended DISC diamond. Below is a clear detailing of how the Diamond is laid out and demonstrates how easy it is, once practiced, to make determinations on individuals at first glance and then speak to them in the way they would like to be spoken to. Extended DISC is a tool that can change a company's culture by simply providing awareness and creating a snowball of understanding. If you're interested in Extended DISC and want more information reach out to us and we'll have a conversation about how it could provide value to your organization. At Sandler we provide data to objectively make higher quality decisions about talent. Employee assessments that identify quality talent faster with proven tools and predictive data is cheaper in the long run than employee turnover. If we learn to recognize top-performing competencies within our workforce by consistent use then we can learn to know, rather than guess, what our company's main cause of attrition is and what behaviors generally lead to less productive employees. Objective data leads to higher quality decisions and helps reduce the subjective reality of both hiring and development. Our Devine Inventory library contains positions from the Executive level to the Hourly and many steps between. They provide us the model to ask the right questions to increase the potential success of any higher. Too often we may be unsure about what exactly we're looking for in a critical job position. What are the key attributes for that position? How do we measure if a candidate has those attributes? How can we be certain we're setting individuals up for success within our organization in key positions? Unless we consistently evaluate from the initial hiring to the lifespan of the employee we won't be setting ourselves up for the highest chance for success at exceeding our own expectations. By consistently evaluating our clients' employees objectively and subjectively we can create a culture that produces transparency and uses feedback as the main source of development. Are you certain you have the right people? Are all your salespeople exceeding their expectations? Are your people capable of selling your products/services at higher margins? Can your people compete effectively against the industry giants? If your top salesperson resigned today, would you know how to replace him/her? We provide growing companies with the timeliest and most accurate insights for growing sales, profits and market share. You'll learn which of your existing salespeople could be performing two, three or even four times better. You'll discover what you must do in order to help those people achieve their potential. You'll understand which of your people won't ever perform any better than they do right now and why. Suggests changes that must be made to your sales management systems. "Do I really have the most effective team members...is someone misplaced?" Provides a clear, easy to use framework to understand complex issues quickly to solve problems and improve performance. We use the team analysis to help teams better solve communication problems. It shows the team dynamics, the strengths and development areas needed to make the team more effective and illustrates how the team members are adjusting their behaviors in the existing work environment.